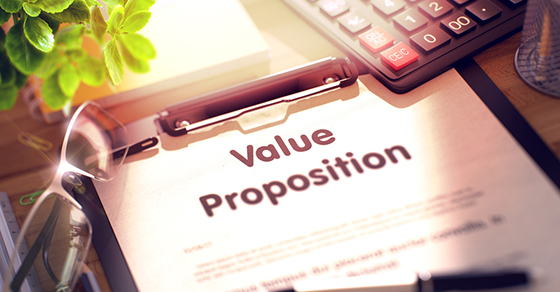 Your Value Proposition is the most important sentence you will ever say in your life (well, maybe except for “will you marry me”). You need to develop it to be as effective as possible, and deliver it in a way that builds trust. Development of a value proposition occurs in two phases: brainstorming and refining. accessible and understandable by people outside your industry. Delivery is even more difficult than development. Trust is absolutely integral to the world economy. Unfortunately, it is also the most emotional, and least logical, part of business relations. To build trust, you have to be willing to accept others emotions as valid and important, even if you disagree. If you get a great value proposition and can get people to trust you, you already have a successful business. All that is left is to do your thing and reap the rewards. Working directly with clients is the only proper way to build trust. Trust is very frigale! In addition, it takes a lot of time to gain it. At the same time you can loose it instantly.